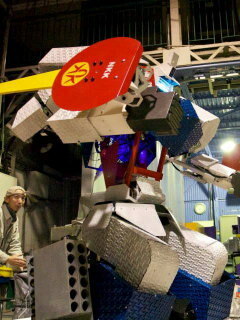 Wheel drive humanoid robot | Hajime Research Institute, Ltd.
Wheel drive humanoid robots are used for entertainment robots at theme parks, amusement parks, and science events, and research platform robots at universities and research institutes. 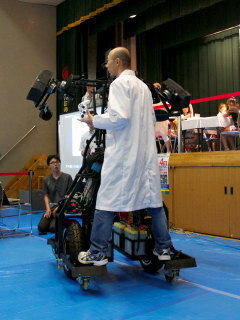 The robot has two hub motors used for electric vehicles(EV) and four wheel casters, and it is like a robot car. It can stable run at flat concrete and flat asphalt ground. 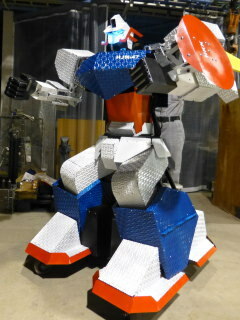 It has powerful servo motors in the joints, so that it hits strong punch as a battle robot (boxing robot). 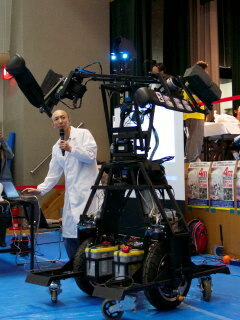 The power of the robot is a battery. 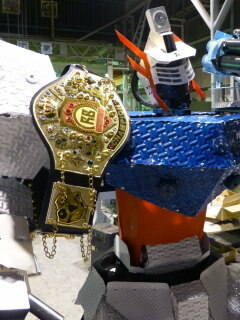 The outer design of the robot can be changed according to customer requirements. 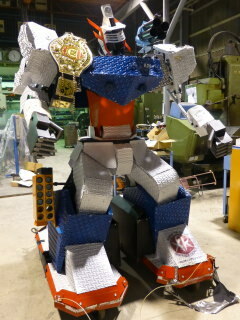 We won at the Huge Robot Battle Tournament(Japanese site) in Japan. 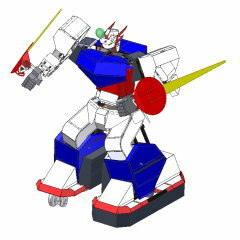 (13 December 2013) Thank you for your support. 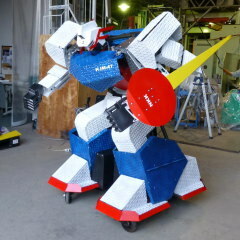 Copyright © Hajime Research Institute, Ltd. All Rights Reserved.